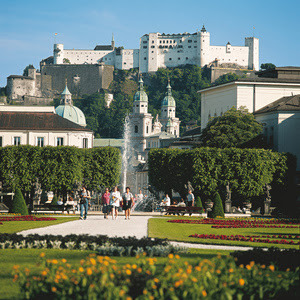 Each year, more than 140 college graduates from the United States teach in Austria under the auspices of the Austrian Federal Ministry of Education and Women's Affairs (BMBF) Foreign Language Teaching Assistantship Program. The purpose of this program, which draws assistants not only from the English-speaking world but also from France, Italy, Russia, and Spain, is to bring talented and enthusiastic young people from abroad into the classrooms of secondary schools in communities large and small all over Austria. 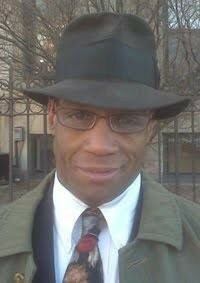 Ultimately, it is the job of these native speakers as teaching assistants to make learning a foreign language a lively cross-cultural encounter for their students. In 1962, Fulbright Austria (Austrian-American Educational Commission), which manages the Fulbright Program in Austria, also assumed responsibility for recruiting US citizens to participate in this program and administering their applications. 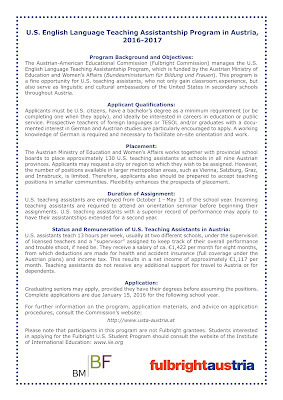 Since then more than 2,900 college graduates from the United States have been placed in Austrian secondary schools as teaching assistants. 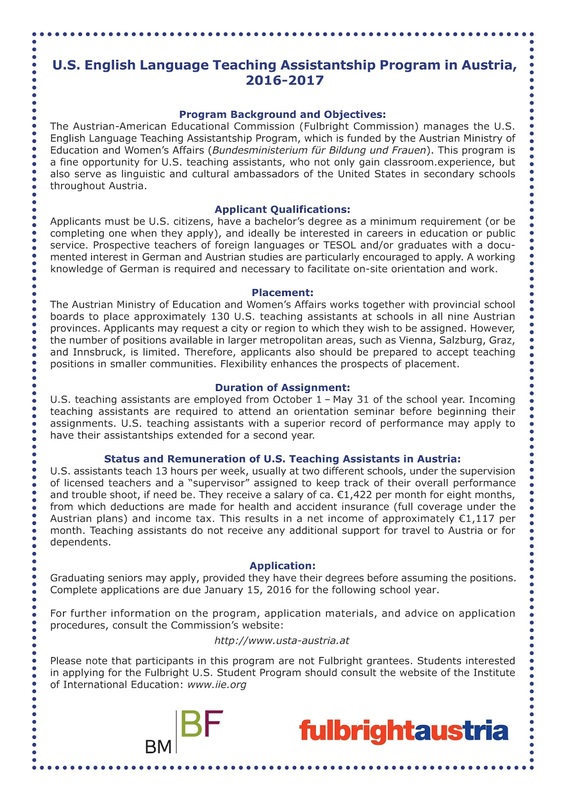 Although the participants in this program make a substantial contribution to the fulfillment of the Fulbright Program’s mandate to promote mutual understanding between the peoples of Austria and the United States, participants in the US Teaching Assistantship Program are not grantees of the Fulbright Program.